Three years ago, as seen in In search of Shirley Jackson and finding the Brighton High School Alumni author display case, we shared our discovery of the Brighton High School alumni author display case in the BHS Library. In the Fall of 2014 the Brighton Student Alumni Association (BSAA) began planning for a BHS Library Enhancement project. The project would entail raising money to help update, renovate, and improve the Library Media Center in honor of long time member and co-president Henry ‘Pete’ French, BHS ’53. Over $30K was eventually raised. Items purchased include a beautiful glass art piece designed and implemented by BHS alum Nancy Gong, as well as new carpet, furniture, lighting, and a custom made display cabinet for the library foyer. 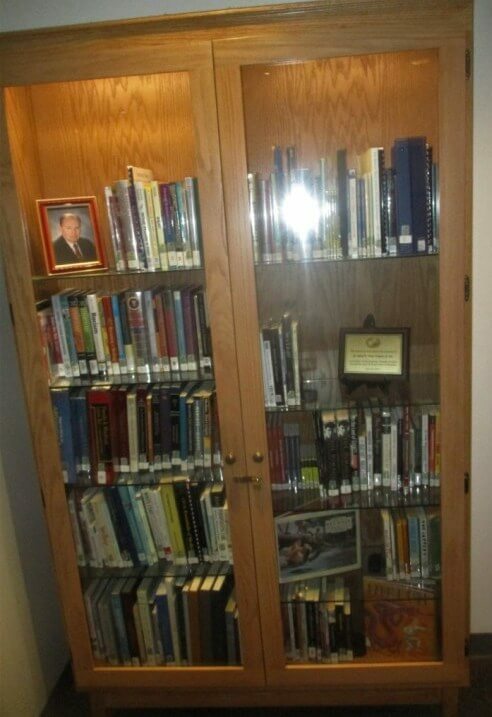 This cabinet is intended to be used to showcase over 200 volumes of books authored by BHS alumni, as well as items memorializing Pete French. In June of 2015 a ceremony celebrating this project including an unveiling of the glass art piece was held in the BHS library. As the BHS School Library Media Specialist, I am always looking to grow this collection. If you are a BHS alumni and wish to donate published works, please contact me via email at Howard_enis@bcsd.org. The library is also interested in building a collection of non-book media, such as music recordings, videos, and other media created by or involving BHS alum. Today, I was a guest teacher at BHS and took the opportunity to make a modest contribution to the case. 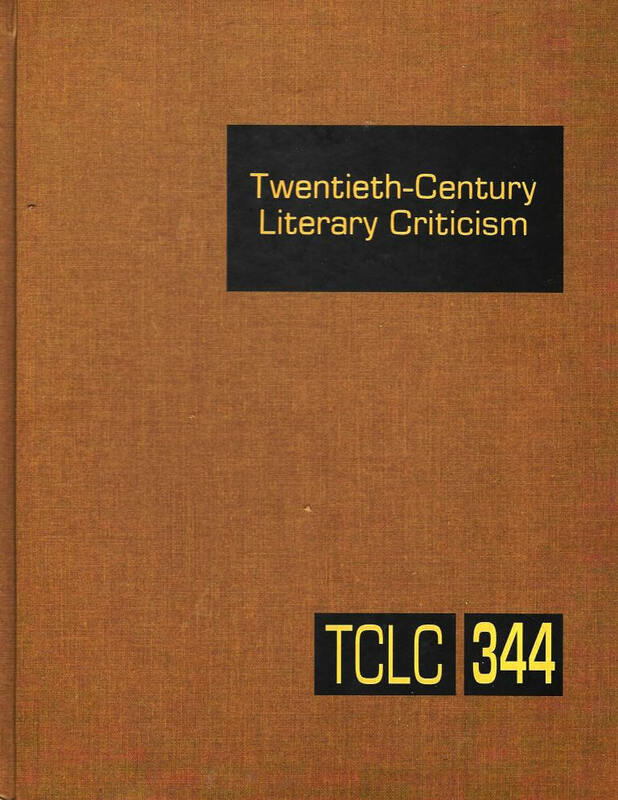 Very kindly, Howard offered to house Volume 344 of Twentieth-Century Literary Criticism that includes my essay “Imperium in Imperio: Sutton Griggs’s Imagined War of 1898” (originally published in War, Literature and the Arts). Featured in the packet are Jackson, Marjorie Rawlings who won the 1939 Pulitzer Prize for Fiction and John Jakes who was dubbed “America’s History Teacher” for his #1 best selling historical novels. 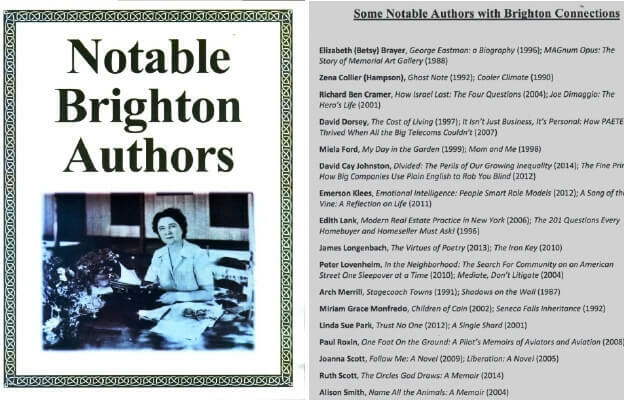 One prolific Brighton-connected writer is not on the list, Dr. Stephen Shapiro BHS ’82, English and Comparative Literary Studies at University of Warwick in Coventry, United Kingdom. Most recently, Stephen co-authored Pentecostal Modernism: Lovecraft, Los Angeles, and World-systems Culture, Bloomsbury, 2017. The book includes a chapter on Walter Rauschenbusch who taught at the Rochester Theological Seminary and was a key figure in the “Social Gospel” movement. 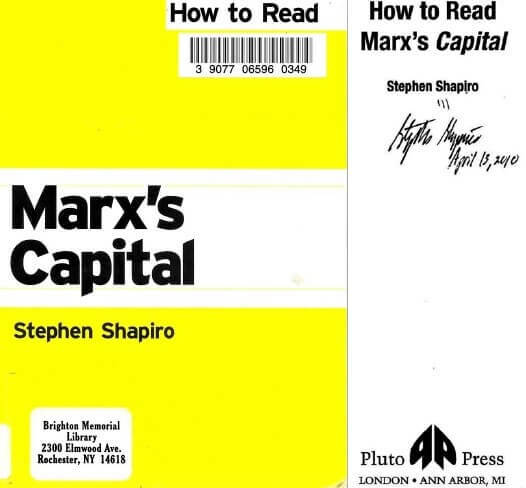 Stephen may be the only local author with a signed copy — made during a visit back to Rochester in 2010 — in the BML collection.